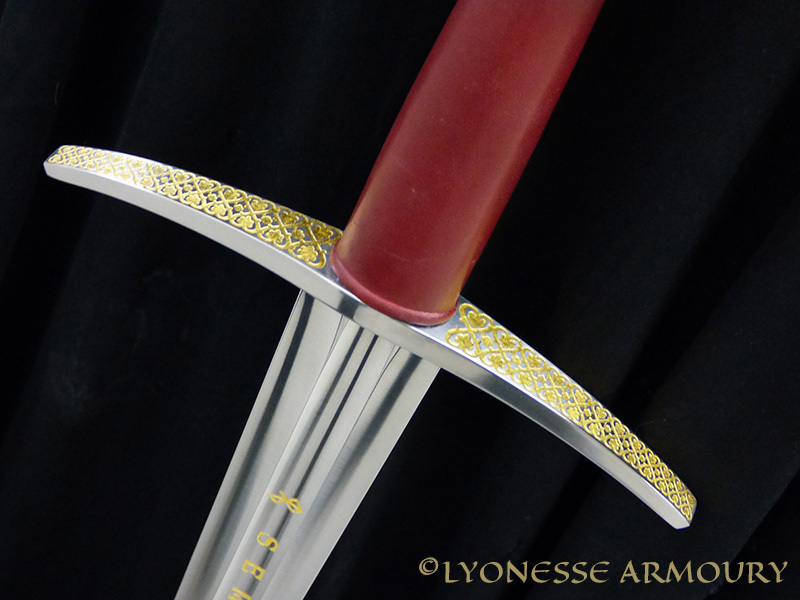 This is a custom longsword made to IMCF combat rules. These rules require a blunt edge at least 2.0mm thick and a tip over 20mm wide. To keep the weight down while keeping a stiff blade with good reach, the edges are heavily hollow ground to remove any unwanted weight while leaving thick ridgelines for stiffness. 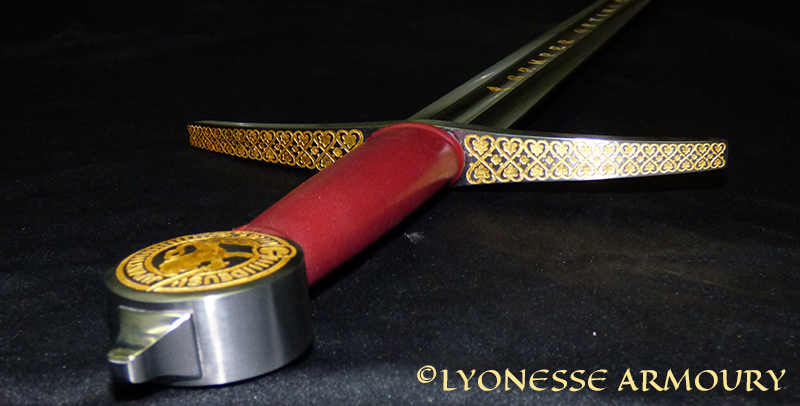 It is loosely based on Oakshott type XII or XIII blades but doesn’t belong to any particular historical type. The cross is made of heat treated spring steel (these would usually be mild steel) to make it as tough as possible. 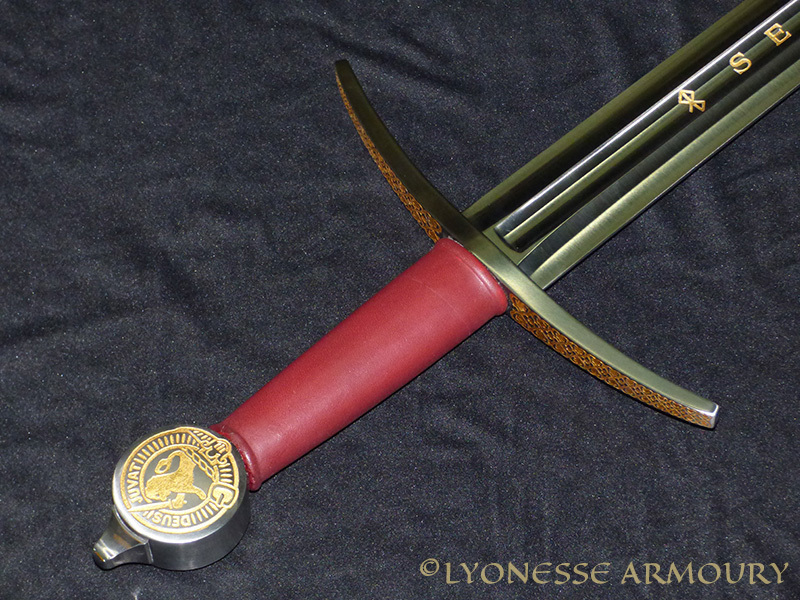 The one-handed grip of wood and leather was made to fit the client’s gauntleted hand, and means the steel pommel isn’t able to counter the weight of the blade as much as a longer grip would. 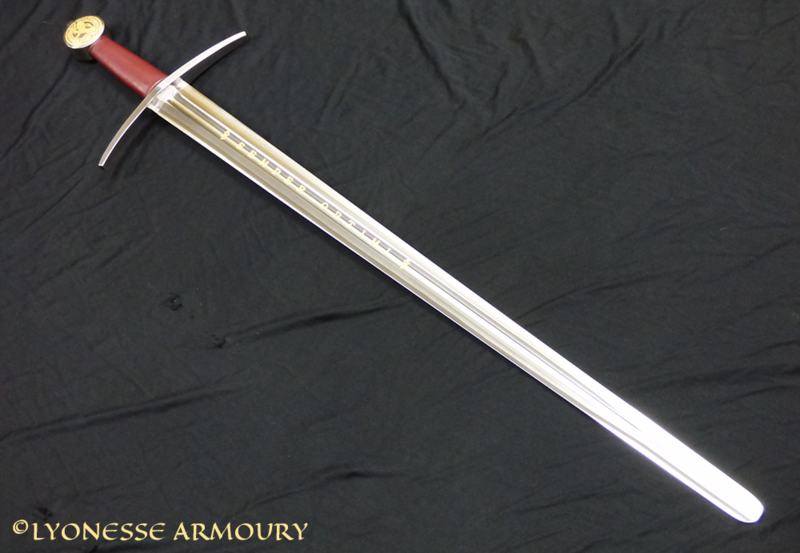 For a one handed sword it is fairly heavy, but this matters less in IMCF combat where heavy blows are desirable. 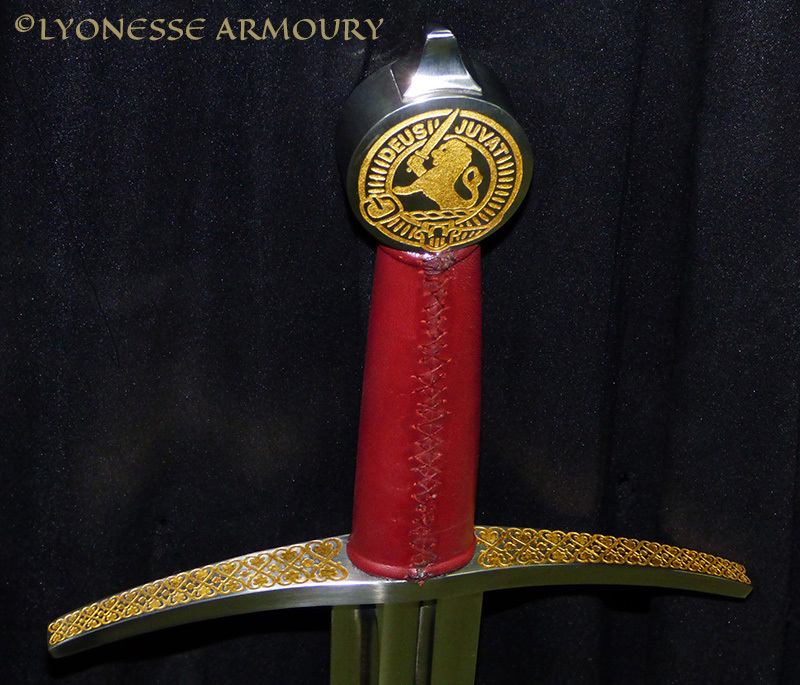 Although this was made as a combat blunt sword, it is also heavily decorated so may not be used except on special occasions. 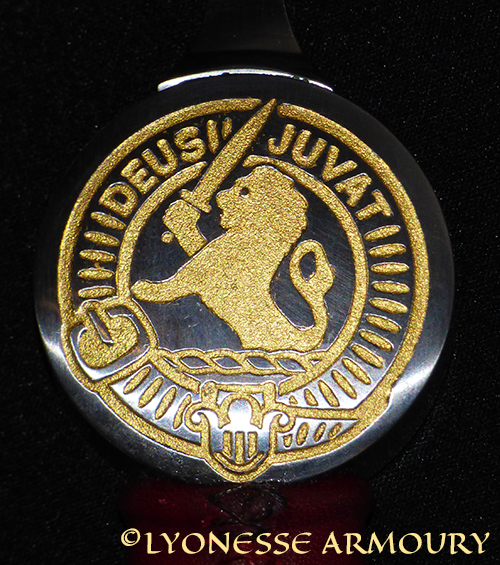 The blade, cross and pommel are all etched, then the etching highlighted with gilding – layers of 24 karat gold leaf sealed under shellac.